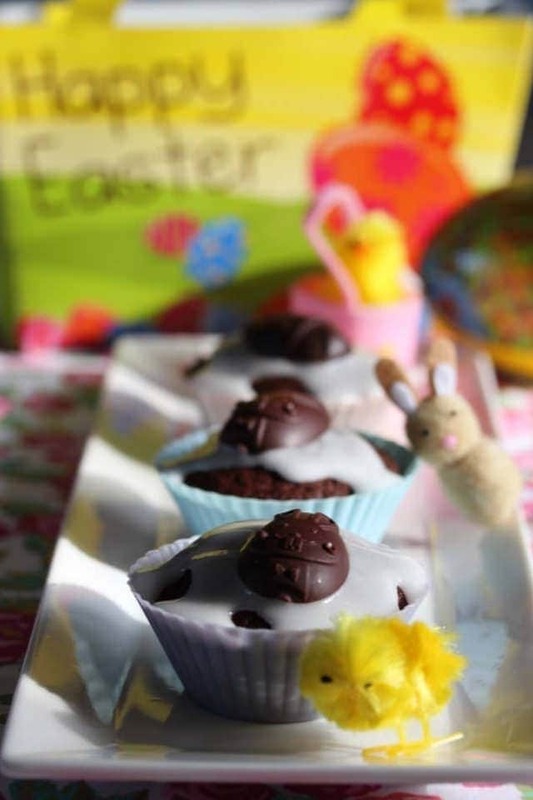 Easter Cupcakes : Chocolate Simnel Cakes | The Free From Fairy. 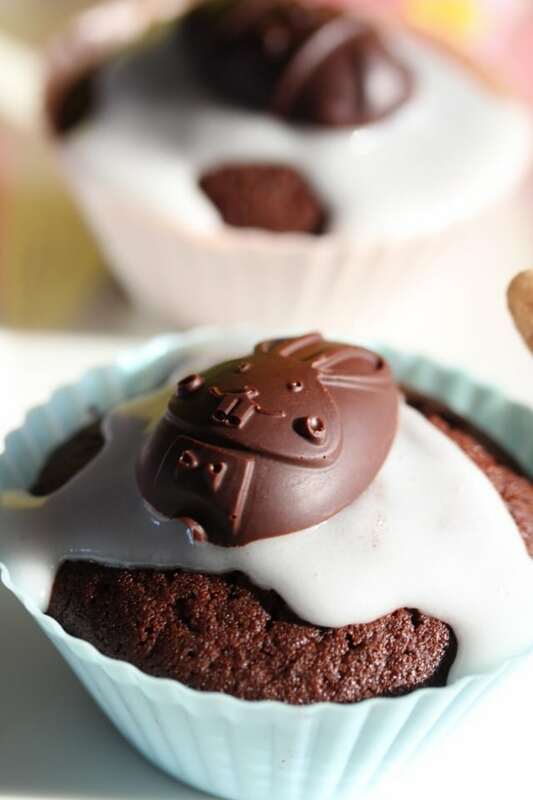 These Easter cupcakes are a chocolate version of the traditional simnel cake. I created them for all those people who hate dried fruit but love chocolate. 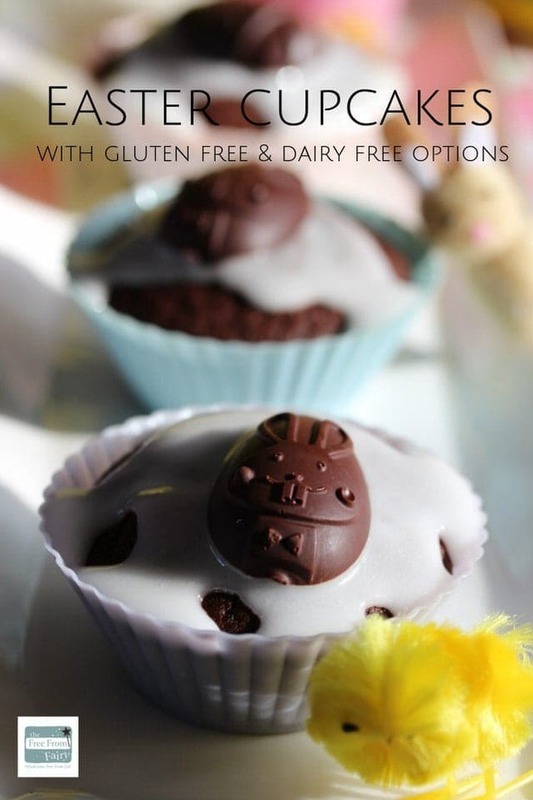 This Easter cupcakes recipe came about because ‘Pickle’ my youngest child hates dried fruit. Christmas and Easter are subsequently quite a culinary challenge. As I’m sure you know, so much of Christmas and Easter baking relies upon dried fruit. What at Christmas is eaten as Christmas cake, is just the same at Easter but with a layer of marzipan baked in the middle. It’s then called Simnel cake. Same cake filled with dried fruit, same problem with fussy child. What is a chocolate simnel cake? Now I don’t know about you, but I love chocolate and I love marzipan. With the need to avoid dried fruit the idea for chocolate simnel cake formed in my head. Chocolate cake baked with a layer of marzipan in the middle. 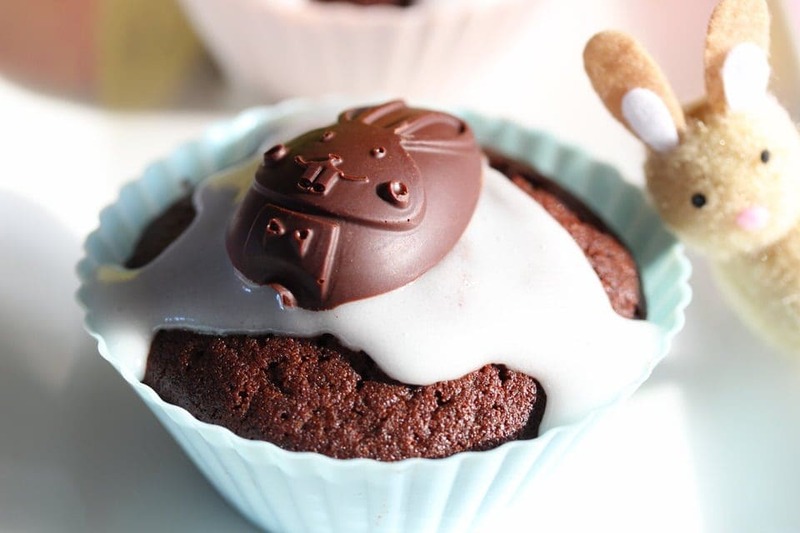 The great thing about these Easter cupcakes is that they can be made in minutes and don’t take very long to cook. Perfect if you’ve forgotten that end of term cake sale or have people coming round. How do I make these Easter cupcakes? I’ve given a few options for ingredients with these chocolate treats. If you need to cater for people who are gluten free and/or dairy free I provide options for both of these. That way nobody needs to miss out this Easter. I make them with my wholegrain gluten free flour blend. It’s a multipurpose gluten free alternative to normal wheat flour and works perfectly as a direct substitute in recipes like this. If you’re not familiar with gluten free baking then check out my guide to what a gluten free flour blend is. When it comes to gluten free baking, the flour is vital. Unlike when you bake with wheat flour, a single gluten free flour will not work. A blend of flours is important to replicate the properties of wheat flour. I explain why in the article. So whether you’re new to gluten free baking or you always seem to have disasters, this is the article for you. The recipe is simple. You simply cream the butter and sugar together before adding the eggs and then the remaining ingredients. I use this stand mixer to do this job for me. It means I can make cakes and other bakes at the same time as unloading the dishwasher or putting on a load of washing! It also means that the kids can easily do baking because it’s so simple to use. Until I had a stand mixer I always had an electric hand-held whisk. They are OK for this kind of job but too heavy for younger children to use on their own. 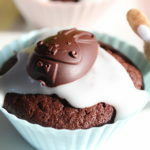 How do you decorate these chocolate cupcakes? How you decorate them is really entirely up to you. The first time I made them I decorated them with marzipan on top like a traditional simnel cake. I cut marzipan disks out using a cookie cutter the size of the cupcake then rolled out little marzipan balls to stick on top. I used apricot jam to stick the marzipan to the cake and the balls to the marzipan. You’ll need about 400g marzipan to do that. A simpler version is to make a glace icing. That’s what I did in the version photographed here. I then decorated each one with a homemade Easter egg half using my homemade chocolate recipe. I made the Easter egg halves using a silicon mould like this one. I’ve also used silicon cupcake holders. They are a far cheaper alternative to paper cases and the cakes never get stuck in them. If you wanted to, you could make chocolate butter icing to go on your cupcakes. The options are endless and I’d love to know what you do. Post your photos on social media with the #freefromfairy. And if you enjoyed this recipe and want more gluten free recipes then sign up for my free recipe book below. In it you’ll find recipes for gluten free pastry, bread, pizza, scones, Yorkshire puddings, Victoria sponge, pancakes and gingerbread. 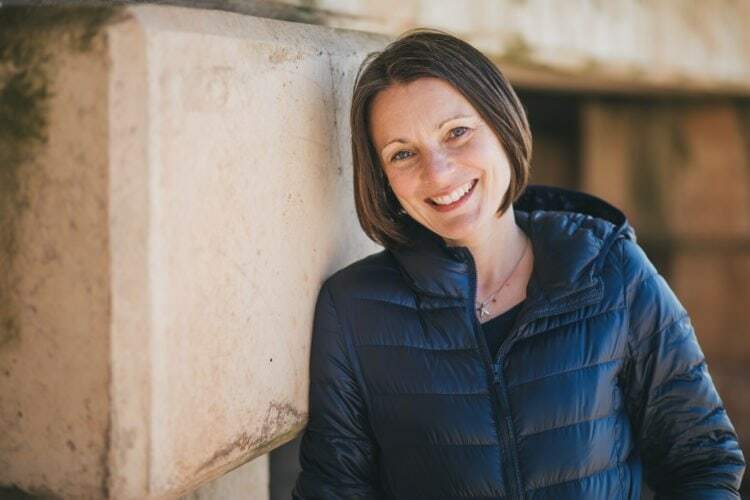 You’ll also get my weekly newsletter of recipe inspiration. Cook in the pre-heated oven for 20-25 minutes until the tops spring back when pressed. Nutrition facts are for guidance only and do not include any decorations you chose to add.